We are very excited to announce our new partnership with Shazam. For those of you who don't use it on a regular basis, Shazam is a mobile app that recognizes music and TV around you. It is the best way to discover, explore and share the music and TV you love. Over 450 million Shazam users have "tagged" over 12 billion songs and counting. It's an amazing app, available now in the Apple and Android stores and we encourage you to download it today. You'll love it. If you host music on SourceAudio you can now easily and instantly deliver your catalog and metadata to Shazam, making your music discoverable by the hundreds of millions of users tagging and learning more about the songs they hear everyday. There's no cost to you to at all for you to be included in their system. 1. Visit the "Programs & Opportunities" section of your Admin Panel. Review the Shazam Music Submission Agreement and sign it electronically by following the simple steps we lay out for you. 2. Once you've signed the agreement we will deliver it to Shazam. One of our friends on their team will countersign the agreement, return it to us, and we'll deliver the executed copy back to you. 3. Once the agreement is in place you're all done. We will deliver your music and metadata to our partners on the tech team at Shazam and you'll be in their system in no time at all. » What Do Users See When One They Tag One of My Songs? Anyone watching a show, commercial, trailer, YouTube video, or any other media that is playing your song can "tag" your song to learn more about what it's called, who performed it, and where they might be able to get their hands on it. Using a fingerprinting technology, Shazam can quickly display your song's title, the artist, the album name and the album's artwork. If you have ISRC codes in your metadata Shazam can display links to purchase your music at iTunes and Amazon. Pretty powerful stuff. We encourage you to give it a shot. 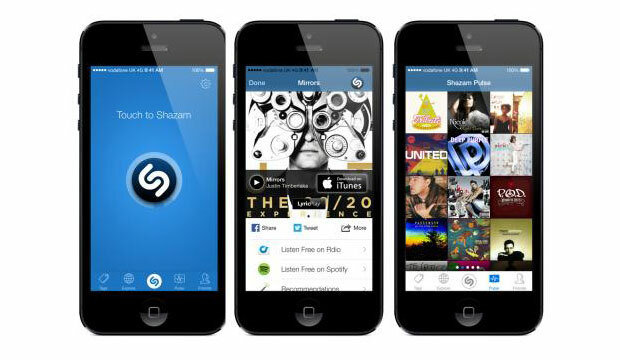 Make your music and brand discoverable by hundreds of millions of users on Shazam today!